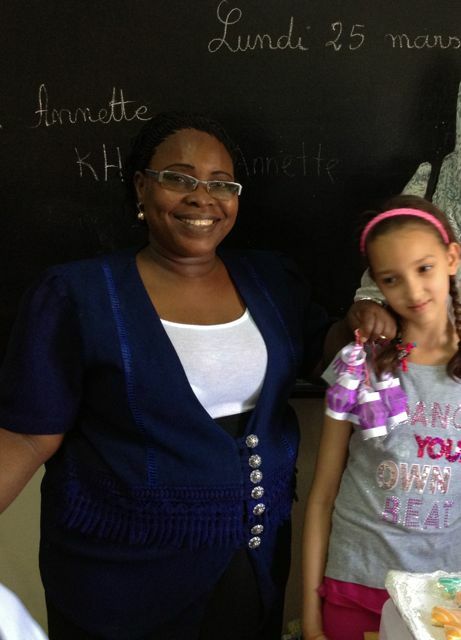 On a recent trip to Mauritania in Western Africa I went to a local school and did some crafting with the kids. We worked in 3 languages English, French and Arabic. 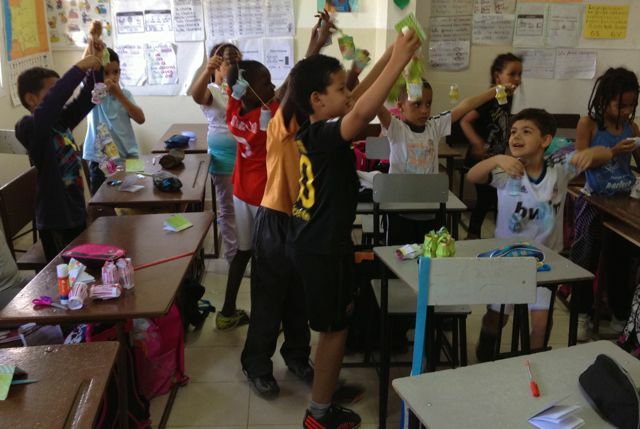 Here are some of the students holding up the books and lantern garlands that they made. Detou with her teacher and lanterns. ABOVE: The paper lantern after it has been folded in half, both sides folded up, the patterned area of the paper snipped and the two long edges have been rolled between the fingers to round the edges. Next steps; glue sides together and add the handle then add to string. 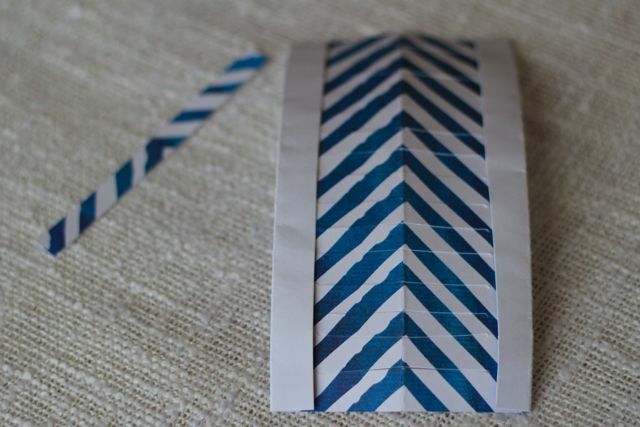 Fold decorative paper in half. Fold long edge up about 1/4″ on both sides. Snipe along the folded edge to the folded edge. See photo above. 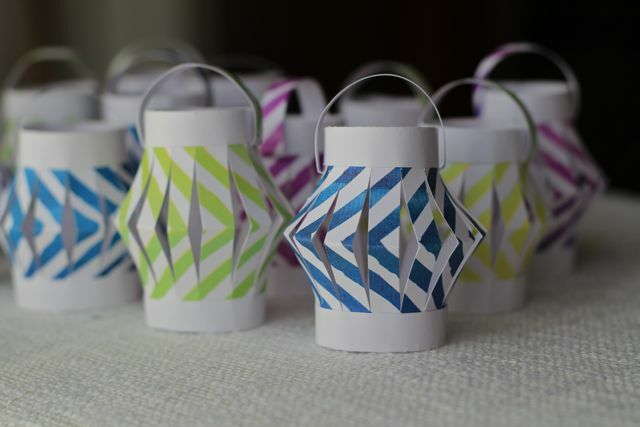 Open the large fold and then roll the top and bottom of the folded edge between your fingers to bend the paper which makes it easier to create the lantern. Run glue along one side. Wrap glued side around around and cover the opposite edge tucking top and bottom edges under folded edges. Fold handle ends under 1/2″ on both sides. Tuck folded ends of handles under the top edge of the lantern, you can glue it in if you prefer. The lanterns can be tied onto a string to create a garland. 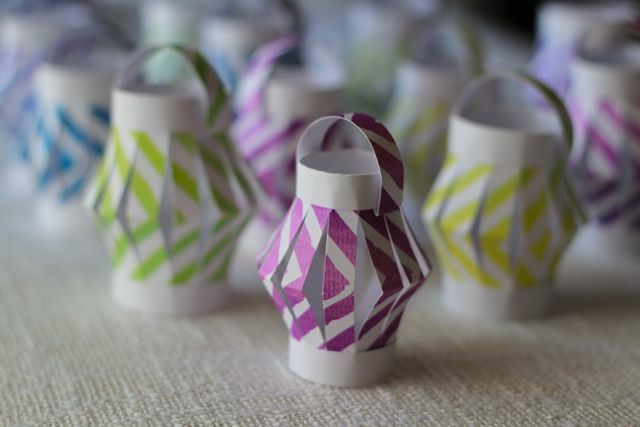 * You can cut the lanterns in many different mini sizes for an interesting combination of shapes.